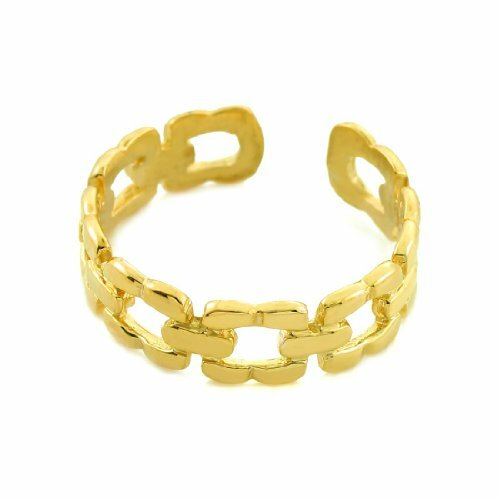 Adorn your toes with this simply beautiful chain link toe ring, made with the finest 10k yellow gold and weighing 1.20 grams. This perfectly polished toe ring is perfect for anyone who loves changing up their style, as you may wear it on your knuckle one day, and on your toe another! Regardless of how you choose to wear it, you are sure to sparkle all summer long with this darling ring. If you have any questions about this product by More Toe Rings, contact us by completing and submitting the form below. If you are looking for a specif part number, please include it with your message.